Looking at the present scenario of crime, theft and indiscipline around our zone, it has become quite important to implement a highly efficient surveillance & security system. 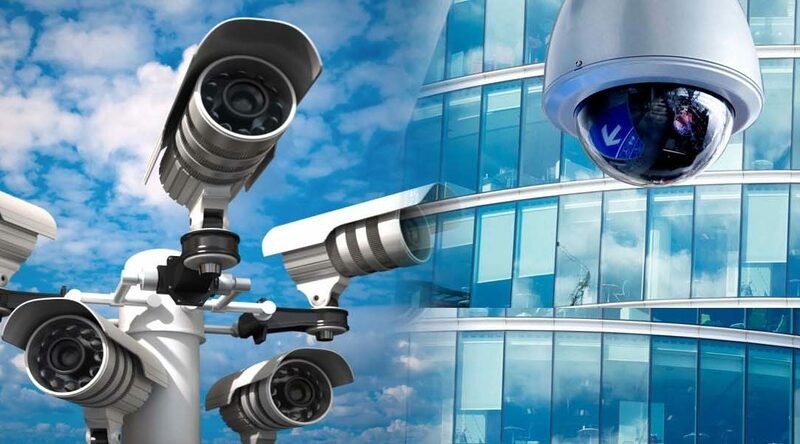 In last few decades the acceptance of video surveillance based security systems has increased. As these security systems are capable of providing the video footage, whether live or recorded within the periphery. The source of undeniable video evidences has also led to the incarceration of many criminals. Since, the CCTV cameras are getting popular with every passing day; the technology involved in their operation is also taking new edge. The shape, size and technology are changing every day. There are both wired and wireless versions of security system. Out of these two variant, wireless versions offer more flexibility as they can be placed anywhere. Internet based, i.e IP based cameras are internet-ready, which is a good way of monitoring your home or your business. They can be viewed from almost any location with the help of any internet enabled devices. There are also some advanced surveillance systems that can notify you over email, SMS, Call or App Notification in case of unwanted detection of any movement. Security cameras that are equipped with motion sensors give them the capability of detecting movements. Even the slightest movement can trigger these motion sensors to start the video recording process. CCTV security cameras are simple enough to be used at home. They can take images with resolutions as high as 3072 x 1728 pixels on a time lapse or motion detection basis, depending on your setup. Some CCTV security systems have add-on features like tilt-zoom, low light, and infrared. CCTV security cameras are relatively inexpensive. Prices vary, depending on factors such as size, type, display, resolution, zoom, and connection. CCTV security cameras are commonly available as domes, bullets, and standard c-mounts. They are available in black and white or colored, with audio or without audio. With a good setup, CCTV security systems can monitor huge areas in your office premises and homes, all the while providing clear and highly visible images. You can monitor your entrance, parking, garage, ware-house or work space in your offices while in your home you can monitor kitchen area, front yard, and parked vehicles. CCTV security systems are able to record suspicious activities real-time. The cameras subsequently transfer the captured images to a PC or laptop through a USB, coaxial cable, or a wireless adapter. SECUREYE is the leading solution provider of integrated security and surveillance systems. We have long range of security cameras for your every need. We have installed these security systems at schools, hospitals, colleges, offices, store house and where not. So, what are you waiting for, just visit our website www.secureye.com and take help of our technical team to set up an advanced security system at your office/organization/home and make it safe from potential threats?